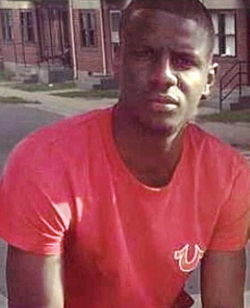 On a clear Sunday morning, on the 12th day of Minority Health Month, 25-year-old Freddie Gray of West Baltimore was dragged into a police van, legs trailing behind him. In the viral video of his arrest, an onlooker is heard calling on the police for mercy. “His leg broke and y'all dragging him like that!" We can’t lose focus on the critical need for health equity. Seven days later, when he died from traumatic injuries to his spinal cord and more, Freddie Gray’s name was a top Google hit. Returns included his arrest video, the peaceful vigils and then days of community uprising. But largely ignored was this: Who was Freddie Gray? Was anyone interested in the man himself, behind the label of victim or perp? A 2008 lawsuit in which Freddie Gray was a plaintiff, finally reported days after his death, described his childhood. He and two sisters grew up in a lead-poisoned apartment. His disabled mother struggled with a heroin addiction and illiteracy. By his late teens, Mr. Gray was four grades behind in reading (cognitive function is often affected by early lead exposure). He apparently suffered from asthma, too. While in police custody he reportedly asked in vain for an inhaler to quell an asthma attack. Suddenly, Freddie Gray is not an Internet event; he’s a real person. At CDHP, we focus on how health systems impact real people. Throughout April’s National Minority Health Month, we’ve worked with partners to amplify the health and social factors that can hold young people back or help them thrive. As a new month begins, we can’t lose focus on the critical need for health equity. Consider who’s left out of oral health systems in your area and look for small, specific ways to affect change. And when someone mentions Freddie Gray, perhaps you can broaden the story. The seeds of inequity start very early in life. How are we going to be the change?